From growing up in Edinburg to becoming the president of the RGV FC Toros and RGV Vipers, Bert Garcia has for years heard people tell him there’s nothing to do in the Rio Grande Valley. Considering that sentiment a personal challenge, he feels the USL’s Toros and NBA G-League’s Vipers provide the Valley not only with something to do, but a family friendly, affordable way to watch high-level professional sports in world-class venues. The only problem is that the Valley’s response has not matched his expectations thus far. 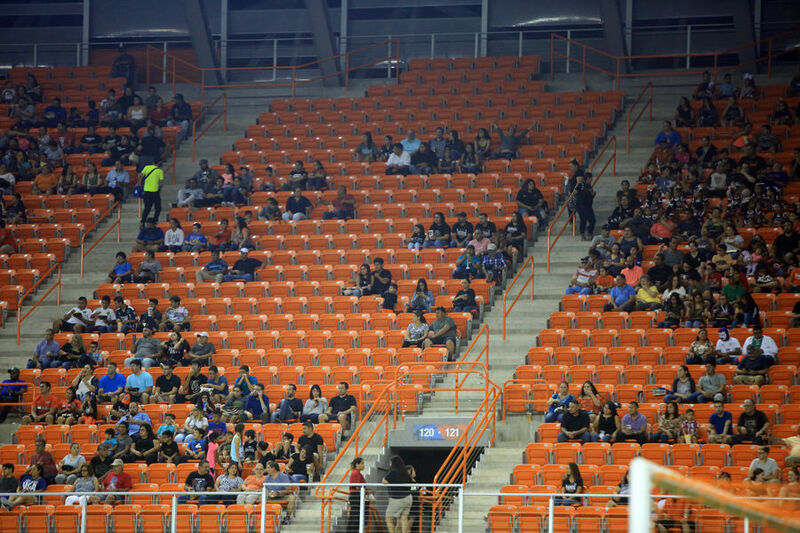 The Toros filled H-E-B Park to just over 70 percent capacity on average this year, and the reaction to the NWSL’s Houston Dash or Liga MX special events has been lukewarm. Believing he and his staff have exhausted all options to get fans in the stands, Garcia aims to provide Toros fans an inexpensive experience, with tickets starting at $5. He wants the teams to be active in the Valley, and he said the Vipers complete about 175 community relations appearances in a span of 180 days. 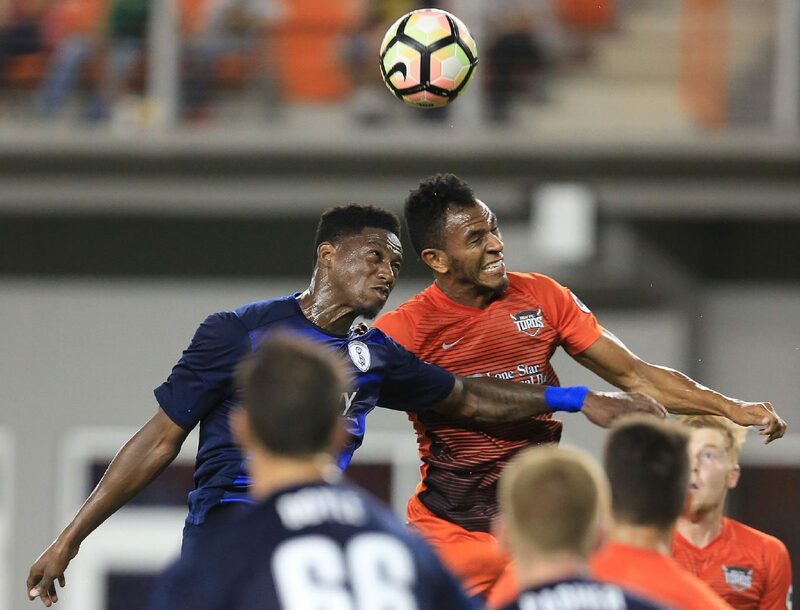 RGV FC Toros' Ivan Magalhaes (5), left and Swope Park Rangers' Oumar Ballo (81) battle to head the ball near the goal after a corner kick in a game at HEB Park Sept. 30, 2017 in Edinburg. Marketing efforts for the Vipers and Toros include partnerships with a majority of the region’s media outlets and an aggressive social media presence. Still, despite the organizations’ efforts, Garcia believes just 5 to 10 percent of the community supports the teams. Garcia spoke with The Monitor about those efforts and what he believes is a lack of support from the Valley. Q: The SportsBusiness Journal in September ranked the Rio Grande Valley 204th out of 219 considered minor league markets — ahead of only one other area that has an active minor league franchise. The rankings are meant to account for the tenure of the teams, the area’s facilities, and the market’s support and attendance numbers relative to economic conditions, among a variety of other factors. What was your reaction? A: For us, we took it a little bit personal, that’s for sure. Q: The RGV FC Toros just wrapped up their first season in H-E-B Park, with an average announced attendance of 7,067. What sort of attendance numbers were you expecting coming into the year, and how close did you come to meeting those goals? A: For me, realistically, it has always been to obtain 7,500 to 8,000 attendance for the Toros. That is a realistic mark. I was feeling and confident that we could probably get our 9,700 per mark on the Toros, especially with the brand that (coach) Wilmer (Cabrera), along with the Houston Dynamo, were able to build last year. It was a fun brand. I think soccer is an extremely fun sport, and a sport that we all can relate to. I think being 80 percent Hispanic, at some point we’ve all seen a soccer game, whether it be on TV or live. So for us, we thought this was going to be a no-brainer. Now my expectations are, I still believe we can do more. I still believe that we need to reach out to the person who hasn’t been to H-E-B Park, because Mr. Alonzo Cantu has done an amazing job with that building. That building, we hosted the Houston Dash about a week ago, and the first thing they said was that this exceeded our expectations. We didn’t know what to expect, but this is even better than any stadium we’ve been to in the NWSL. And you’re talking some MLS stadiums, too. The building is there. The product on the pitch is there. Affordable ticket prices are there. So in saying that, why not get 9,700? So is it meeting our expectations? Me personally? No. Q: If you can run down that checklist and feel like you’re doing everything you need to be doing, can you pinpoint a reason why the team is not connecting with Valley fans to the extent you had hoped? A: I don’t know. I don’t want this to come off in a rough or tough way. But I think sometimes, we just take for granted what is here for us. I think sometimes people are saying, ‘It’s not a major league level,’ so they’re just not willing to participate. But I think in order for us to ever get to that level, there has to be consistency shown with the teams that are already here. … So is it that we just take it for granted? ‘It’s there. OK, we’re happy it’s there.’ To me, it’s a matter of taking pride in what the Rio Grande Valley stands for. There’s not a better feeling than seeing a Troy Daniels (former RGV Vipers player) hit a game-winning 3-point shot for the Houston Rockets versus the Portland Trailblazers in playoffs and the announcers saying, ‘Just a week ago, he was with the Rio Grande Valley Vipers.’ Rio Grande Valley. Q: When you talk about the facilities, high level of play, and overall experience, what do you see as the biggest differences between what you offer and what people can get traveling to San Antonio, or Houston, or Dallas? A: Well, obviously, we don’t have a James Harden. Obviously we don’t have a Cubo Torres playing for us. But you are going to see the next Cubo Torres. And you potentially will be able to see the next James Harden. So the differences are that we have up-and-comers to established veterans. The biggest and best difference is the facilities. Thanks to what our owner has done, we have the facilities. I guarantee you the way we modeled our facility, especially H-E-B Park, was through Avaya Stadium and BBVA (Compass Stadium, in Houston). Yes, BBVA has 22,500 and Avaya Stadium in San Jose has 18,000, but I guarantee you, toe-to-toe on the quality, our stadium, I would like to say that it finished out even better than those two stadiums. Q: Do you think there are any financial factors limiting the Valley fans’ ability to attend more Vipers and Toros games? A: I’m sure there is. I can’t be ignorant to say that there isn’t. But, seeing some of the tax dollar numbers that some of these restaurants are producing and some of these movie theaters are producing, people are still able to go and see a movie. And the last time I took my girls to go see a movie, on three of us I ended up spending $45. You try to, again, at least at one point, come and enjoy live entertainment for less than what a movie costs. Our concessions are probably as affordable as they are at the movies or even more so. But I can’t be ignorant to say that there’s no financial thought behind it. There is. But at the same time, if you want family entertainment, it doesn’t get better than what we have to offer. Q: Do you think it’s more important the quality of the product from a sports perspective, or the quality of experience you can offer to a family or the general public? A: Both. We don’t try to ignore one for the other or try to spend more energy on one or the other. It’s both. One thing I love about the Valley is that they want winners. They believe in winners, they follow winners. And I have nothing against that. And I think that is great pressure on us. Because we may miss the playoffs this year in the Toros, and no one is happy about that. …I believe that has to transcend into what we also have on the experience level, as well. On the experience level, yes, hold us accountable. For, ‘Hey, we should do more giveaways.’ ‘Hey, what about the halftime acts and the quarter breaks?’ ‘How about we’re having more community appearances?’ Yeah, hold us accountable to that. Q: What is the expected impact of the opening of Bert Ogden Arena? Toros and Vipers owner Alonzo Cantu funded the construction of H-E-B Park, which hosted its first match this season. Cantu also put forward $38 million of the $68 million used to construct Bert Ogden Arena, which includes a 20-by-40-foot video board. The facility was expected to be open this year but has been delayed until at least January. A: Mr. Cantu spent a lot of money and time on the seat comfort. On the foot level. So when people are going to say, ‘Hey, I would like to go see what AT&T Center looks like.’ Or, ‘I want to see what Toyota Center looks like.’ Or, ‘I want to see what the Staples Center looks like.’ You’re going to have the same quality, obviously on a minor league level, but you’re going to have the same quality in H-E-B Park and Bert Ogden Arena. That should, first, just get people interested. Curious. And then once they step in and are partaking in it, it’s going to make you want to come back, because they know the amenities are major league level amenities. Q: What has been your reaction to how the Valley has received the special events you’ve hosted, including matches featuring Liga MX teams or the Houston Dash? A: Well, all I have to say is that they weren’t sold out. … Rayados vs. Toros was sold out, but Pumas vs. Puebla, it was at half capacity. The Dash game, we did a little bit over 3,000, which is still above their league average. But I mean, the caliber of athlete, female athlete, it was unbelievable. It was such great soccer to watch. Q: You’ve said in the past that having a major league team based in the Valley is the ultimate goal. And from the perspectives of facilities, cost, and the potential for league expansion, Major League Soccer is the most likely avenue. Seven of the 12 applicant cities announced by the MLS in February are home to existing USL franchises. Is part of the process showing that the Valley can support a team at the USL level first? A: Yeah, I think you have to show it for sure here now. And we did have, at the beginning of the conversation, the road to the MLS was a conversation. And that’s why we’re trying to get corporations and small business season ticket holders. Hey, let’s boost it up so we can move to the major league level. We want you to participate in getting to the Major League level. Because maybe we’re not the only ones internally who have that dream. Maybe the Valley fans have that dream, as well.